This week’s podcast is a discussion with Capt. 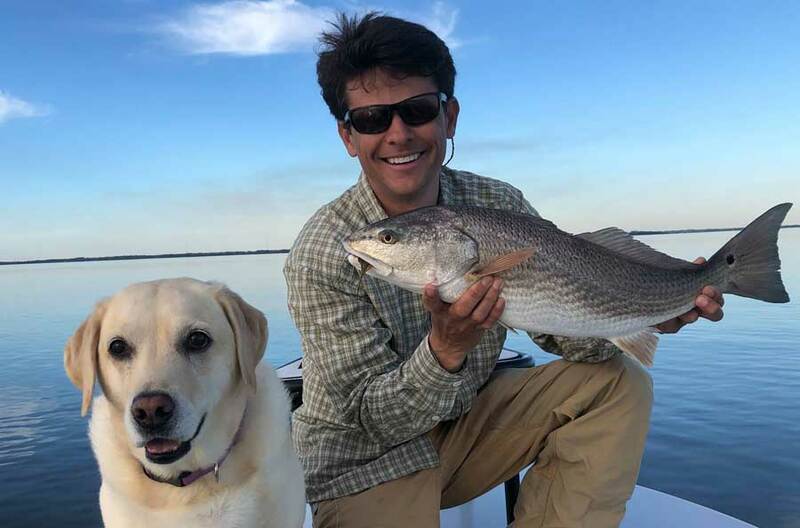 Tuck Scott, head guide at Bay Street Outfitters of Beaufort, South Carolina. Tuck gives us solid tips on choosing flies for saltwater inshore species, concentrating on redfish and speckled sea trout. Of course we would be remiss to discuss fly selection without some advice on how to present them, and Tuck also shares his advice on how to fish various types of baitfish and crustacean imitations. Capt. Tuck Scott shares his secrets for catching Low Country redfish. Should I tie my dries and nymphs in every size, or every other size? What fly rod do I need to fish from shore and from a kayak in the Florida Keys? Can I fish for steelhead with a sink-tip line? How much line do I leave out before making a roll cast? Can I overline or underline a rod when using something like a Depth Charge sinking line? Should I use recommended line weights or grain weights when picking a sinking line? Do you have any tips on throwing weighted flies? Can I fish for larger species with a click-and-pawl reel? How do I keep my Thingamabobber from slipping down my leader? I’m from Wyoming and can read trout streams. How do I read ocean beaches? Can I catch yellow perch on a fly rod? If I use a 20-pound leader, will the core of my fly line break first? A listener takes me to task for not washing my waders and gives tips on how to properly wash them and why you should.